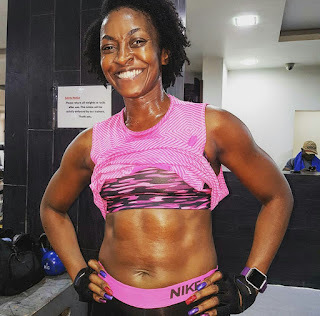 Nollywoood actress turned bodybuilder, Kate Henshaw, who recently gave body fitness advice to men and women on how to maintain healthy living by continuous physical exercise, took to Instagram to share the photo where she flaunted her 6 packs abs for the world to see, as a result of her consistency. 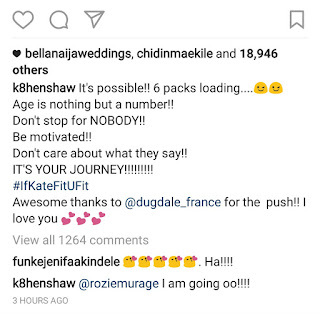 She probably flaunted it to challenge mothers like her, to prove to them that age has nothing to do with body fitness. 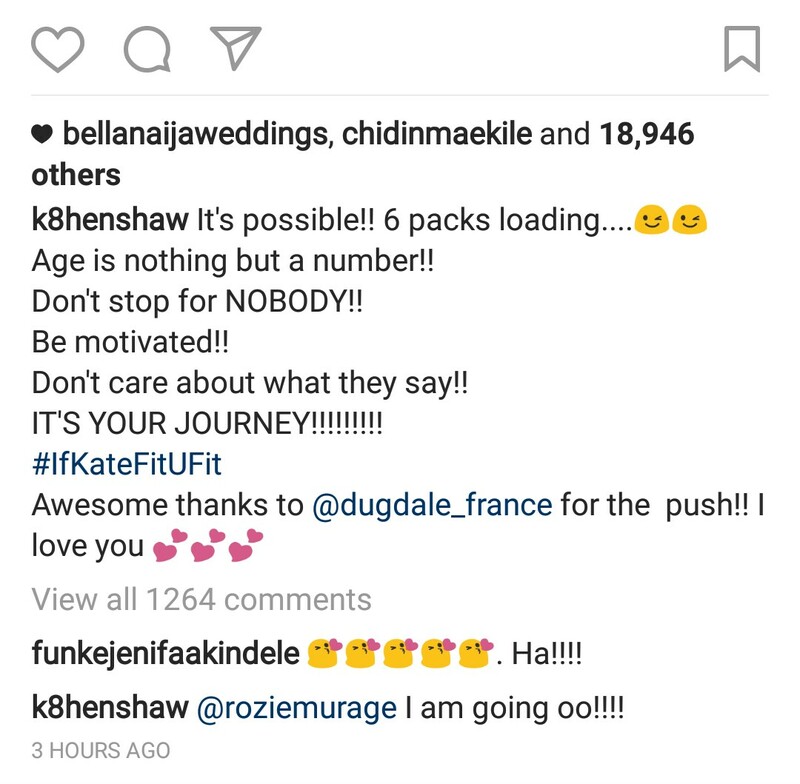 Don't care about what they say! !